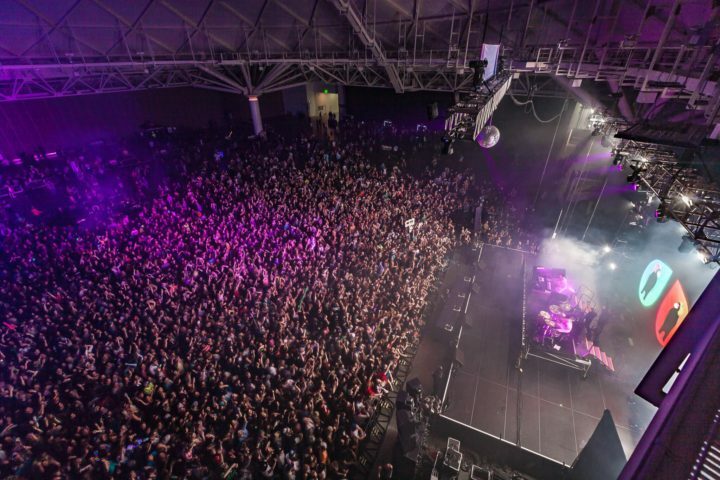 Snowta NYE returns to the Minneapolis Convention Center this Dec. 30 and 31 for the final celebration of 2017. The musical lineup includes Excision, Pretty Lights, Ganja White Night, Ookay, Bear Grillz, Liquid Stranger, Mija, Prof, Joyryde, Ott., Sunsquabi, Yheti, Wookiefoot, Gucci Mane, Post Malone and more (see full lineup graphic below). 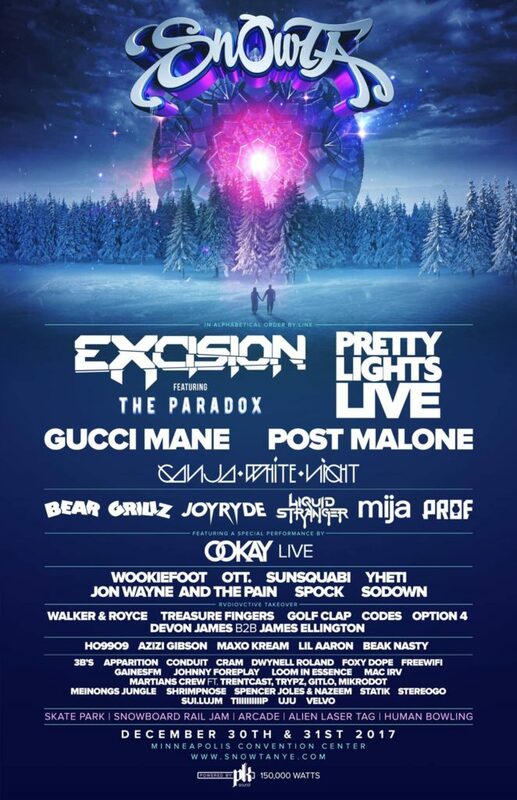 On the production side, Snowta’s main stage will feature a 50-foot LED light wall, and main stage artists (including Pretty Lights) will utilize Excision’s “Paradox” production elements throughout the night. Beyond music, the event also includes arcade games, alien laser tag, human bowling, a skate park demo area, snowboard rail jam, ice sculptures, and more. Snowta NYE tickets are on sale now — starting at $200 for two-day general admission passes and $250 for VIP passes — and we’ve got your chance to win a pair of two-day passes to the festival. Deadline to enter is Thurs., Dec. 21 at 11:59 p.m. CDT. One submission accepted per person. Must be 18+. Travel and lodging not included. Good luck!